"I truly believe a pet is a part of our world, but we mean the world for our pets. It's that bond of unconditional love that inspires me every single day." Adam is hard working and wonderful vet. Adam very pationate about is work, it's part of him. He is the perfect match for Bondi Vet. Adam is a wonderful human being and should be the next Bondi Vet! He truly loves animals! He has dedicated his whole life to animals; caring understanding, treating their injuries as if each pet treated is his own. Equally important is his caring attitude towards the owners of the pets! 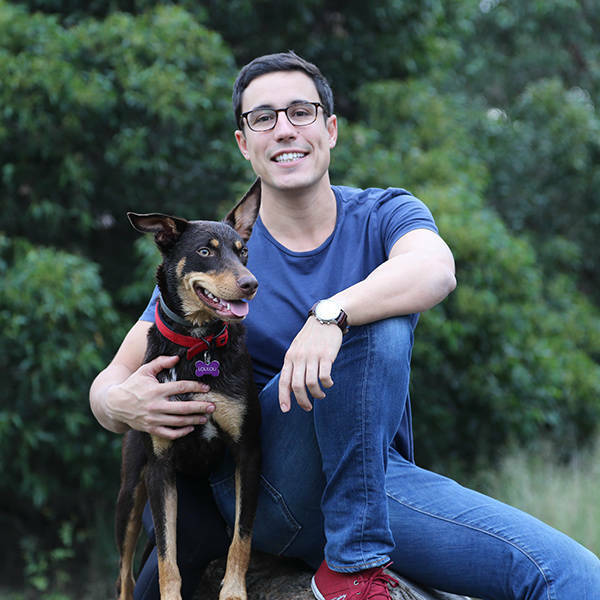 Adam is a great, hard working and wonderful vet who cares about his patients and because of his talents would perfectly suit the role of Bondi Vet. Adam is fantastic. He loves animals so much. Please vote for him as the next Bondi Vet. Adam is the perfect guy to be the next Bondi vet. He loves animals more than anyone I know. Couldn’t recommend our local vet Adam more highly. Our family think he would make a great Bondi Vet! He has a wealth of expertise and experience and shown great care for our dog Charlotte. Our dog loves seeing Adam. He always makes our kids laugh and explains everything. Adam is very pationate about his work, it's just part of him! Once we drove Adam to the clinic after a dinner out, because he wanted to know how this Staffie was doing. He lives for it and there's no moment he won't think about his patients. Adam is an extremely charismatic vet who is well loved by the local community. He always goes out of his way to make sure my cat and I are well looked after. I couldn't recommend him more highly. Adam is an immensely caring person. He is a brilliant vet, who has his patients' best interest at heart.